For the next few weeks, I thought we would take a journey together looking at Jeremiah 29. Although I am familiar with this passage, especially verse 11, I have been wanting to spend a little more time than usual, dig a little deeper with a verse by verse study, and listen for what God has to say to my heart in my current circumstance. I am praying that it will bless and encourage you in whatever needs you face. In 587 BC, King Nebuchadnezzar led the army of Babylon to the gates of Jerusalem capturing the city, looting it, placing Israel’s King Jehoiakim in shackles, and taking approximately 10,000 Israelites into captivity. 2 Kings 24 says, that King Nebuchadnezzar’s army took the artisans, the craftsmen, the royal officials, and all the leading men of the land. Only the poorest people were left behind. The Israelites were pulled away from their land where they were born and the land that was promised to them. They were forcibly exiled into a strange land a few hundred miles away from their home, where everything worked and functioned differently. The Babylonians, who had captured the Israelites, were not nice people. They were the most powerful nation on earth, and their army was considered to be ruthless in their actions. After conquering a city, they were known to sometimes place a pile of human skulls in the center of the city. This was done to warn individuals not to rebel against them. The Israelites remained in exile for 70 years! The word exile essentially means to be in a place or set of circumstances you don’t want to be in. Hopefully, you have never known the experience of being taken from your home and held as a prisoner by someone wicked, but I know that all of us can relate to being in a place or situation that we wish we didn’t have to experience. For some of us, this circumstance may feel as though it is lasing for 70 years! Stop and think for a moment about the situation that you are experiencing right now and wish you didn’t have to go through. What is your place of exile? I want you to keep your exile place in mind as we study this passage and learn how to apply God’s Word to it. I know that God is going to encourage your heart through His Word. He has been showing me so much through this passage already! This week, I want us to only look at Jeremiah 29:4 – “This is what the Lord Almighty the God of Israel says to all those I carried into exile”. Stop. Right. Here. There’s a lot to consider in this verse, especially with one word in particular. This one word sets the foundation of truth we must run to in order to settle our thoughts when we are in a set of circumstances that we don’t want to be in. The word I want you to look at is “I”. This verse tells us that God sent the children of Israel far away from all they knew and loved, to a place they didn’t want to be in. Please read Jeremiah 29:7, 14, and 20. These additional verses also tell us that God allowed this situation to happen. God had allowed the Jews to be taken into captivity. So let’s take a moment and consider how we can apply this to our everyday life. I believe this verse represents the foundation of what we must be sure about and speak to our hearts and minds when we face a difficult time in our life. God has allowed it. We may wonder about what is going on. We may not like the situation. But, it is God’s permissive hand on our life. The difficulty did not randomly happen. When we acknowledge that God is indeed Sovereign, not only over the universe, but also over our current circumstances, we will find it much easier to endure the difficult times. It helps eliminate insecurity, bewilderment, blaming and bitterness. We can enjoy peace in our current difficulty. For me personally, I am finding that when I begin to feel anxious, frustrated, or experience any other unglued emotion setting in, it is important that I ask myself this question – Do you believe that God is Sovereign? This always takes me back to right thinking and settles my emotions. I would encourage you to try this. Ask yourself this – What do my thoughts and actions state regarding what I believe about God? Am I acknowledging that He is Sovereign? In Control? Allowing this to happen to me from His permissive Hand? Say aloud to yourself – “I am right where God wants me. He is in control. He will use this somehow (Romans 8:28). Ask God to show you more of Himself through your circumstance. Write the above bullet points out on a card and leave it where you will read it often. Remind yourself to live out this foundational thinking of acknowledging God’s hand in your current circumstance! Have a grace full week acknowledging the truth that God is always Sovereign and will work things out for your good and His glory! Take a moment longer to listen to this song and let it lead you to a place of worship and praise today. As always, Kathy, spot on. Thanks! You have helped me minister to others. Thank you for your sweet love and words. Last night, before I scheduled the posting of today’s blog, I spent time in prayer asking God to use it for His glory. Thanks for sharing this testimony that He is indeed is doing just that!! So glad that you are not just my sister in Christ, but my sister-in-law!! Thank you for this song..I have a dear friend who has been a mighty servant for Christ for CCC for years who is experiencing a deep depression. I had a song picked out to sing to her on Cd. This will replace it. Pray her heart will be nourished hearing it. This song really ministered to me this week. I am praying that you will be a blessing to your friend as you sing it for her and that the song will encourage her heart, pointing her to One who can heal her sad heart! Love your serving heart, my friend!! Thank you Kathy! I miss you! Hey there my sweet friend! I miss you too! If you have a free day, call me and we’ll get together. Come sit by the pool with me and have a afternoon of relaxation and chatting! So glad this ministered to you today! Thank you Kathy! 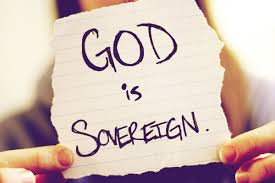 Health issues with Mike this week have had us relying on God’s Sovereignty. Your devotional has helped today. I am so thankful how God is using this blog to minister to so many people. Thank you for letting me know this. As you come to mind, I will pray for you and Mike! Thanks so much for the reminder! I am still in the waiting room at Mayo waiting to see my oncologist and it was helpful and reminding me God is in control. Minis you! Great reminder isn’t?!! Much love to you my sweet friend. Missing you as well! I stopped, as I read this, and prayed for you.